Fewer hunters were in the woods harvesting more deer during this year’s gun deer season. That report from the DNR on Tuesday. 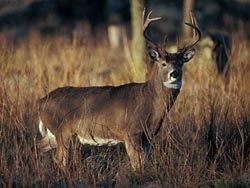 The total deer harvest was up about 7 percent. Wallenfang says this is a rebound after poor weather last year snarled the deer hunt. More hunters are also taking advantage of CWD testing this year. “We’ve got crews working out at our C W D testing labs, pretty much all hours of the day trying to get animals processed as quickly as we so that we can get results back to hunters as quickly as we can,” says Wallenfang. The hunt is also one of the safest on record, with no gun fatalities and only three injuries during the whole nine days. This year’s gun deer season is the safest on record for Wisconsin. That’s despite three hunters getting shot. Jon King with the Department of Natural Resources said those three hunters were treated for non-fatal gunshots wounds, but there have been no fatalities. King said six hunters were shot last year. None of them died. The last time a Wisconsin hunter died in the field was 2015. The DNR doesn’t have a final count of deer permits for this year, but as many as 570,000 hunters in the state could have taken to the field during the 2018 deer season. The Wisconsin gun deer season opens Saturday, and hunters are getting ready to take to the fields and forests to bag a buck or doe. As you head out to your favorite hunting spot, it’s a good idea to give your tree stand or deer blind a once over. State hunter education administrator John King says you want to make sure that your stand can still support you on your hunt, before you head out on opening day. Also check to make sure all the bolts and straps holding your stand to your tree are in good working order and give the ladder you use to get in and out a check as well. If you’re using a heater in your deer blind, King says you want to make sure it’s working properly ,and to keep combustible materials away from it. Be sure to sweep out the blind or shack as well, and make sure that there’s no extra critters sharing the space with you inside while you’re out hunting. You should also make sure your windows are clean and ready to open, and that your shooting lanes are clear. If you find you’ve got an extra deer you can’t fit in your freezer or don’t need this season, consider donating it to charity. The Wisconsin deer donation program is back in action, and local butcher shops and meat processors are ready to handle your extra venison. Stevens Point based People’s Meat Market co-owner Lee Falkavage says the process is very simple. Hunters have donated over 90-thousand deer since the program started in 2000, which has put 3.6 million pounds of meat into food pantries. The fall rut is here, and that means more deer will be trying to cross Wisconsin roads. State Patrol safety programs chief Randy Romanski says that you always should keep alert, especially when driving down two lane highways. You should never swerve your car to avoid a deer, says Romanski. Swerving puts you at risk of losing control of your vehicle, and crashing into oncoming traffic or objects on the side of the road. If you do hit a deer, pull over, stay in your car and call law enforcement. The Department of Natural Resources wants your help tracking chronic wasting disease by getting samples from your harvested deer. 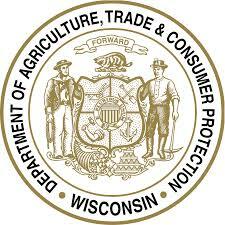 Major sampling will take place in the Southern Farmland Zone and at select locations in other CWD-affected counties. 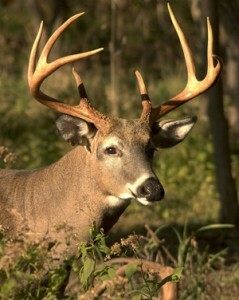 Diehard Wisconsin hunters will be taking to the woods this weekend for the opening of the bow and crossbow deer season. DNR Wildlife supervisor Jeff Pritzel says one of the reasons the bow hunt is so popular is that you have to disconnect from the rest of the world and find some quiet by yourself. You’ll want to make sure that your deer stand is ready to go for the hunt. “Make sure that if you are hunting from an elevated platform that it is still secure and things haven’t changed or it hasn’t been storm damaged or the rope hasn’t rotted,” says Pritzel. You can find out more about the bow hunt and get this year’s full rules and regulations from your local sports shop, or by visiting http://dnr.wi.gov. Wisconsin hunters can start getting their doe tags next week. Those antlerless hunt authorizations are the best tool the DNR has at controlling the population of the deer herd, according to big game ecologist Kevin Wallenfang. Every county except Iron County will have authorizations this year, thanks to a milder winter and less pressure on the deer herd over the last several years. Tag sales start on Monday, August 13. You can get them at your local outdoors shop, or online at http://gowild.wi.gov. A deer farm in Dane County and an elk farm in Richland County have been quarantined. Those quarantines are due to chronic wasting disease at both facilities. A release by the Department of Agriculture, Trade and Consumer Protection, says samples from a whitetail doe and elk cow tested positive for CWD. The 10-acre Dane County farm has had 20 deer sampled for CWD since 2010. The 20-acre Richland County elk farm has had 25 elk sampled for the disease since 2007. The numbers are in from the nine-day gun deer season, and hunters bounced back from a slower opening day. The Department of Natural Resources says hunters bagged nearly 196,000 deer during the season that ended Sunday, down 0.8 percent from last year. Kevin Wallenfang, big game manager for the DNR, says that after weather made it tough on opening day, the daily numbers for the rest of the season were higher than last year. The totals from opening weekend were down 12 percent. Wallenfang says over the nine days, hunters registered more than 98,000 bucks, which was up 0.4 percent from a year ago. Buck numbers were better in the northern third of the state. Fewer hunters hit the woods this year, with about 589,000 licenses sold – about two percent less than last year. The number of deer registered by Wisconsin hunters during opening weekend of the nine-day gun season was down about 12 percent from the 2016 season opener. Preliminary figures released by the Department of Natural Resource show hunters registered just under 102,903 deer during opening weekend – down from the 116,615 registered during last year’s opener. The number of bucks registered was also down, from 64,828 in 2016 to 59,142 this year. While hunters seemed to have a second year of success in the northern half of the state, the DNR says wind and rain in southern Wisconsin likely played a role in lower numbers for that region of the state compared to last year.